If France is famous worldwide for its cuisine, then the provender of Périgord is famous throughout France – and beyond, of course. Truffles; cheese; walnuts – and, bien sûr, some wonderful wines to chase it all down with. But to be a duck in the Dordogne is to live in particular peril. 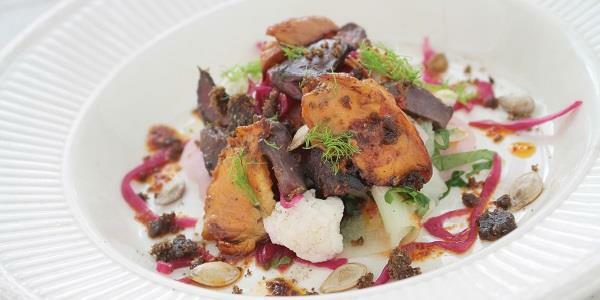 Périgordians, it seems, can’t get enough of les canards, prepared and plated up every which way. Magret de canard is, simply, duck breast. But given that this is French cuisine, nothing is ever simple. The breast is cooked in all its juices – fried first, to seal the meat; then baked in the oven to cook through (to the diner’s preference). But that’s pretty much the only constant: how it’s served is really up to the chef (or the customer). You could be daring and go sweet-and-sour in a honey and balsamic vinegar reduction; enjoy with a pepper sauce; choose gratin dauphinoise as an accompaniment; or, as here, with mashed nutmeg pumpkin and a port-wine jus. 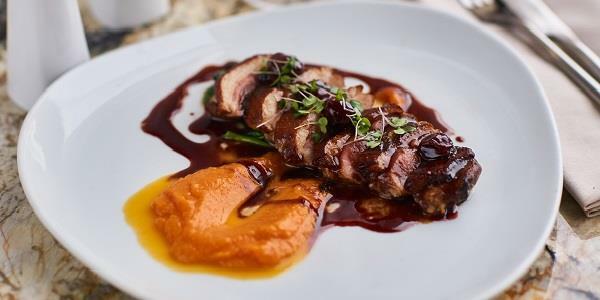 Aiguillettes are duck breast ‘tenders’, served grilled or with a simple sauce. One of the most flavoursome parts of the bird, aiguillettes are sometimes served in salads – but chefs need no encouragement to experiment. Aiguillettes can be caramelised; accompanied by vegetables or fruit (figs, oranges or peaches); served with mushrooms... the possibilities are down to the chef’s imagination, and your preferences. Cuisse de canard (AKA confit de canard) is a duck leg, slow-cooked and preserved in duck fat. The legs are then fried in the fat, and served with potatoes, also fried in the fat. 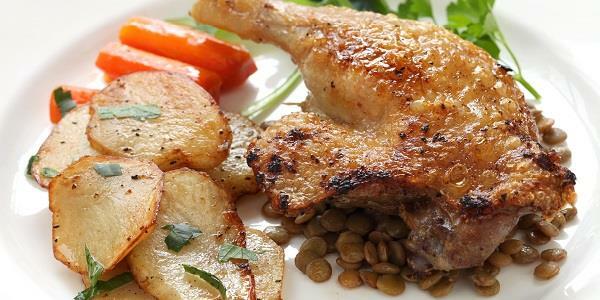 The dish can be served as is, but confit de canard also features in cassoulet (not strictly Périgordian – it originated in nearby Languedoc), a rich, hearty white-bean stew that, as well as duck, includes pork in various forms. A favourite in cooler weather. Less immediately appealing (aesthetically, at least), though actually very tasty (and very affordable) is a salad of gésiers – in a word, duck gizzards. These, like the confit, are fried in duck fat, and very rich; the salad element is a necessary addition, bringing a bit of lightness to what would otherwise be a pretty dense plateful of duck meat. They’re healthy, too – rich in minerals and proteins. However, they should not be eaten too often as a main course, because of a high salt content. Better, perhaps, as a starter. But if a salady main course is what you crave, then it has to be a salade Périgourdine. The salad includes duck in many forms: gesiers; slices of breast meat, either dried or smoked; and more, often as not served on rustic bread and accompanied by a jumble of colourful summer leaves. 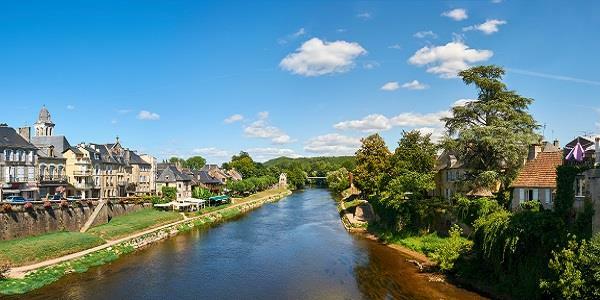 Holidaymakers at Constant, an ancient Périgord hamlet-turned-holiday haven, have no excuse for going home hungry; but might instead be grateful that the Dordogne is such fabulous walking country. How better to lose those extra calories?